Rohit withdrew Rs 8000 on February 6 and received four fake notes of Rs 2,000 'Guaranteed by the Children's Government'. In the aftermath of demonetisation, people are still struggling for cash. Recently, when a man went to withdraw some, a major security breach left everyone shocked. 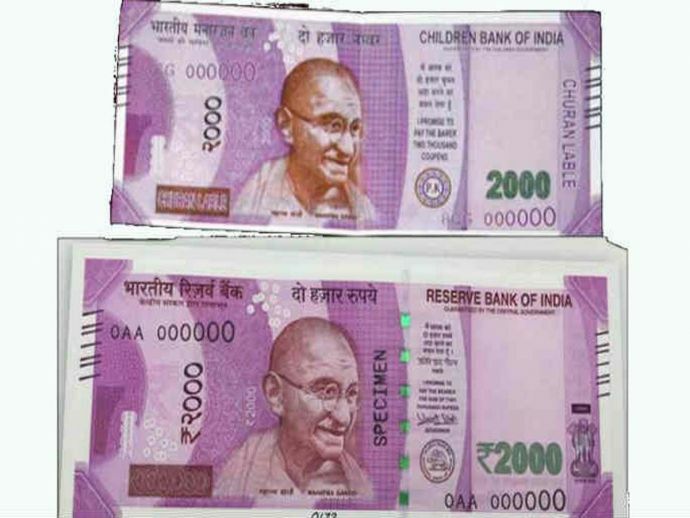 A State Bank of India ATM in South Delhi’s Sangam Vihar dispensed fake Rs 2,000 notes. Rohit withdrew Rs 8,000 on February 6 from the SBI ATM and got four fake Rs 2000 notes which looked uncannily like the real one. He noticed that they were fake and immediately reported the matter to police. 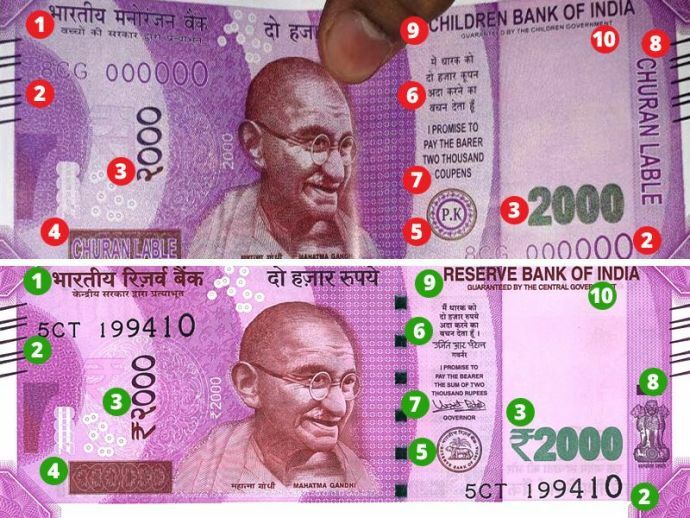 Instead of Reserve Bank of India, the note had 'Children Bank of India' written on it and was 'Guaranteed by the Children's Government' in place of Guaranteed by the Central Government. The fake currency note had 'churan lable' in place of the State emblem and a 'PK' logo in place of bank's seal. Police have registered the case and started the investigation.